Crowd control can be really troublesome without the proper equipment. Effectively cordon areas and establish proper boundaries with little effort by using Seton’s multipurpose tensabarriers. These crowd control tools are designed to effectively draw lines to mark off-limit areas within your facility. You can choose between tensabarrier posts or wall mounted units that can be easily installed to quickly create barriers whenever needed. You can also attach sign frames onto these barriers to provide informational messages and safety reminders for people within your building. Check out our vast selection of tensabarriers and other compatible accessories to find the best crowd control barriers and tools for your many needs. Yellow with black and yellow tape decorator Tensabarriers ® direct indoor traffic, restrict access & block hazards. Stowaway tensabarriers travel, store and set up easily. Danger keep out wallmount security tensabarriers block access to dangerous areas. Black with yellow caution do not enter tape decorator Tensabarriers ® direct indoor traffic, restrict access & block hazards. 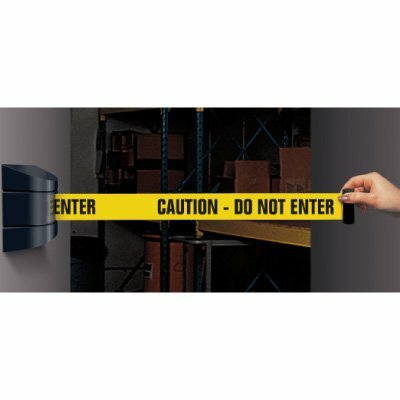 Black with black and yellow tape decorator Tensabarriers ® direct indoor traffic, restrict access & block hazards. Security tensabarriers restrict entry to any area. Silver with blue tape decorator Tensabarriers ® direct indoor traffic, restrict access & block hazards. Silver with black and white tape decorator Tensabarriers ® direct indoor traffic, restrict access & block hazards. Black with back and white tape decorator Tensabarriers ® direct indoor traffic, restrict access & block hazards. Silver with red tape decorator Tensabarriers ® direct indoor traffic, restrict access & block hazards. If you’re looking to designate waiting queues, or you want to block off an area from unauthorized access, Seton’s tensabarriers are your simple yet effective solution. These crowd control barriers are easy to install and come with retractable belts for use whenever the need arises. Our tensabarriers posts come with sturdy stanchions and retractable belts that can be adjusted to their limits without tipping the post over. If you need tensabarriers but don’t have much space for posts, wall mount units should be your choice. Simply attach this to walls and doorways and pull the retractable belt to instantly create a barrier. 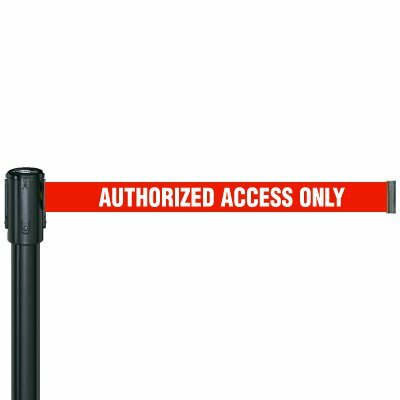 To save space and maximize the use of your crowd control equipment, you can easily attach sign frames and message displays on your post. 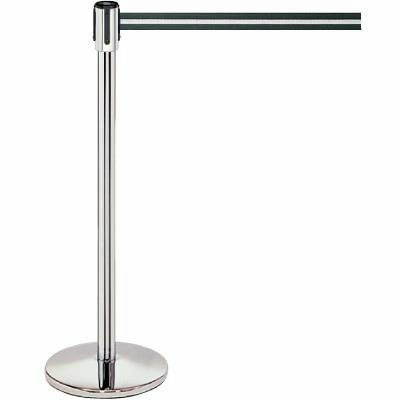 Our sign frames and acrylic displays can be easily mounted on top of these stanchions that allow your tensabarriers to serve as crowd control tools and sign posts at the same time. These stanchions and signs are manufactured from the best materials to give you both quality and functionality, while complementing your facility’s interior. 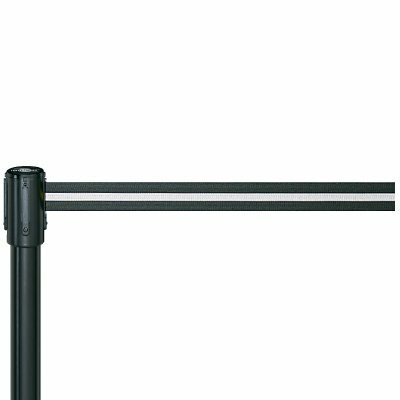 View our selection of stanchions, brackets, receptacles, and sign frames to see the accessories that will go best with your choice of tensabarriers.